Look around in sheer amazement at the company headquarters in Schiltach in the Black Forest: the bathroom exhibition at the Hansgrohe Aquademie is a delightful experience for all. It offers so much more than just an informative product overview. In our humble opinion: you have to see for yourself. 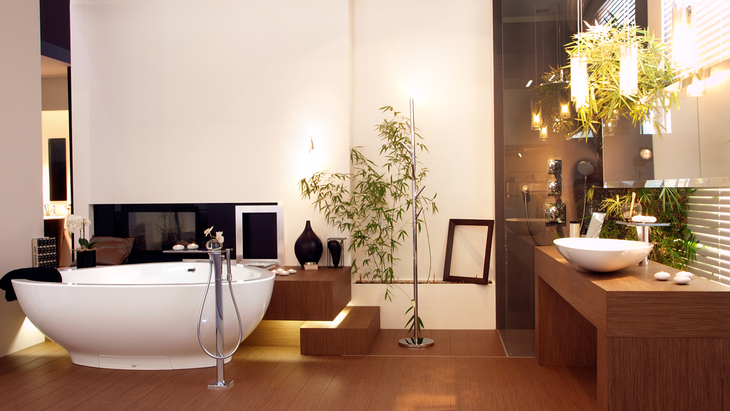 Be inspired by the broad range of opportunities available to you at the bathroom exhibition. Visit Hansgrohe and marvel at how international design stars turn “wet cells” into oases of wellbeing. Experience the future of the bathroom with all of your senses - with products created as a result of the AXOR WaterDream, for example. Would you prefer to test out showers right away? This can now also be arranged! At the Hansgrohe ShowerWorld. Make an appointment, and the shower paradise will open its doors to you.